Bibhuti Rachanabali part 1 - some famous works of Bibhutibhushan Bandyopadhay including novels and both stories are present in this book like Pather Panchali, Meghmallar, Nastik, Avishapto, Khukir Kando and many more. (12th September 1894-1st November 1950)The immortal writer of “Pather Panchali” and the creator of the character “Apu”. Bibhutibhushan Bandyopadhyay was born in Ghoshpara-Muratipur village near Kanchrapara(North 24 Parganas, West Bengal) at his maternal uncle’s house . Mahananda Bandyopadhyay was his father and mother was Mrinalini Devi. Also having 4 siblings ( 2 brothers & 2 sisters) Indubhushan, Jahnabi, Saraswati & Nutbihari. His grandfather Tarinicharan Bandyopadhyay was an Ayurvedic physician from Panitar village, near Basirhat, North 24 Parganas, eventually settled at Barakpur village, near Gopalnagar, Bongram (Present Bongaon). His father Mahananda Bandyopadhyay was a famous Sanskrit pandit (Scholar) and Kathak (story teller) by profession, Bibhutibhushan spent his entire childhood at Barakpur village, near Gopalnagar. In his childhood he joined Bongaon High School , one of the oldest instiution in India (British India) and was considered as a highly talented student.He obtained first division placement in the Entrance and Intermediate Arts examinations and completed his undergraduate course with Sanskrit, Economics & History at the Surendranath College, but could not afford to complete his masters degree(MA) course and joined a school at Jangipara (Hooghly District) as a teacher. Since they were not very rich, so Bibhutibhushan worked hard to support his family prior to becoming a famous writer. Then he joined another school at Harinavi (Sonarpur) as a teacher and started his career as an author. His first work was “Upekshita” (উপেক্ষিতা), a short story which was published in the year 1921 by “Prabasi” (প্রবাসী), one of the leading literary magazine of Bengal at the time. His first novel; was “Pather Panchali” (পথের পাঁচালী)(Song Of The Little Road) initially published as a serial but finally as a book in the year 1929. 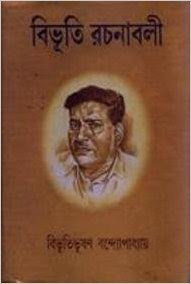 Later this book was filmed by famous writer and film director Satyajit Ray. The sequel of “Pather Pachali” was “Aparajito (অপরাজিত)and both the novels were translated in various languages and also filmed by Satyajit Ray together with “Apur Sansar” (অপুর সংসার)and formed the hit & successful Apu Triology. In his career he wrote 16 novels and more than 200 short stories. He often used to travel miles after miles in the woods regularly with his notebook to write whilst surrounded by the wilderness. He married Gouri Devi when he was a student of third year but unfortunately she died in cholera within 1 year of their marriage, after that Bibhutibhushan spent an isolated life like a “sanyasi” (A Hindu religious mendicant) for a couple of years and started developing his spiritual knowledge. After a long span of time he again married Rama Chattopadhyay (Nickname-“Kalyani”), daughter of Shoroshi Kanta Chattopadhyay from Chaygaon(ছয়গাঁও) village of Faridpur District on 3rd December 1940, Bibhutibhushan was 46 years old at that time. After the “Stillbirth” of 2 baby girls Taradas (Nickname-Bablu) was born in the year 1947.after 7 years of his 2nd marriage. He spent his last 10 years of life in Barakpur village. He died on 1st November, 1950 and the cause of death was identified as Coronary Thrombosis (Heart Attack) by doctors. A tiny list of his immortal works. Pather Panchali (পথের পাঁচালী ) - Filmed in the year 1955, Directed by Satyajit Ray. Aparajito (অপরাজিত) - Filmed in the year 1956, Directed by Satyajit Ray. Apur Sansar (অপুর সংসার) - Filmed in the year 1959, Directed by Satyajit Ray. Baksa Badal (বাক্স বদল) - Filmed in the year 1970. Directed by Nityananda Datta. Nishi Padma (নিশিপদ্ম) - Filmed in the year 1970, based on a short story “Hinger Kochuri” (হিঙের কচুরি) directed by Aravinda Mukherjee & re-made into a Hindi film “Amar Prem” in the year 1971 directed by Shakti Samanta. Nimantran (নিমন্ত্রন) – Filmed in the year 1971, directed by Tarun Majumdar. Ashani Sanket (অশনি সঙ্কেত) – Filmed in the year 1973, directed by Satyajit Ray. Fuleswari (ফুলেশ্বরী) – Filmed in the year 1974, directed by Tarun Majumdar. Alo (আলো) - Filmed in the year 2003, directed by Tarun Majumdar. Chander Pahar (চাঁদের পাহাড়) – Filmed in the year 2013, directed by Kamaleshwar Mukherjee. Amazon Obhijan (আমাজন অভিযান) (based on the characters of Chander Pahar) – Filmed in the year 2017, directed by Kamaleshwar Mukherjee.